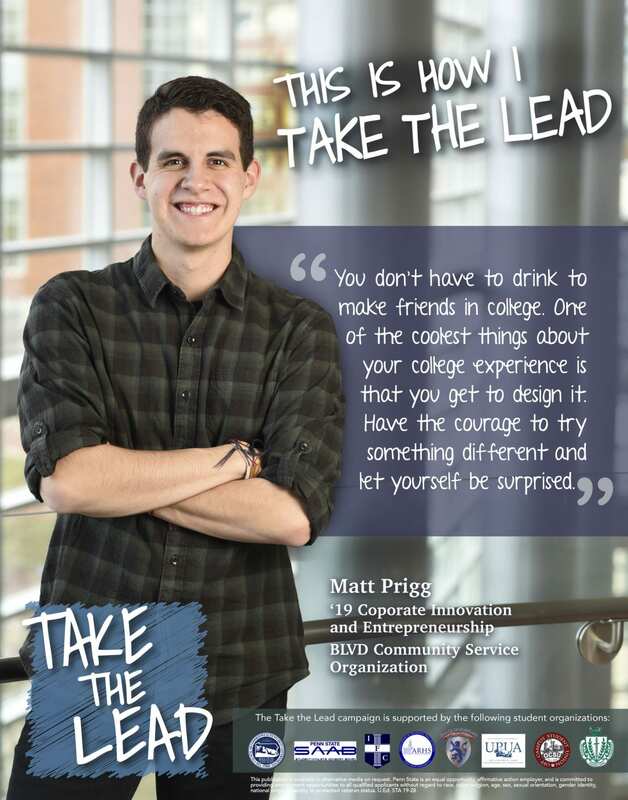 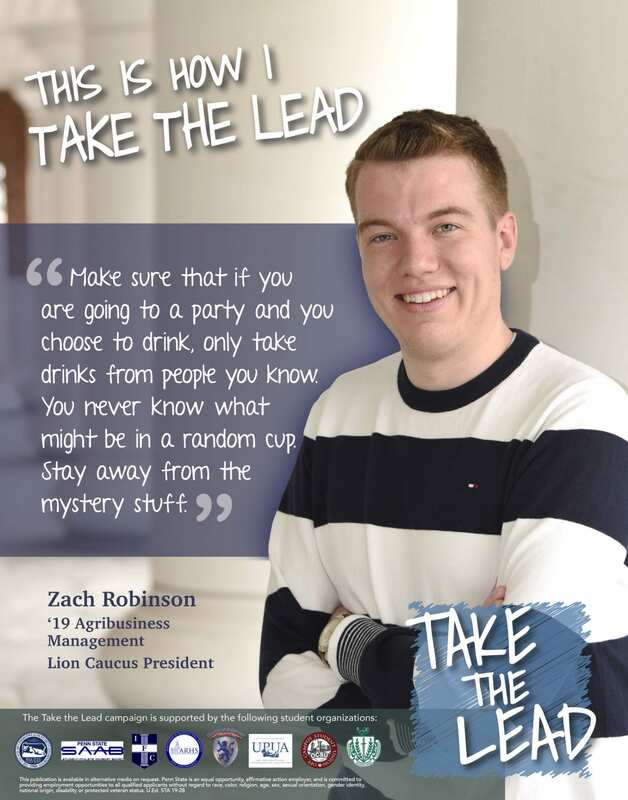 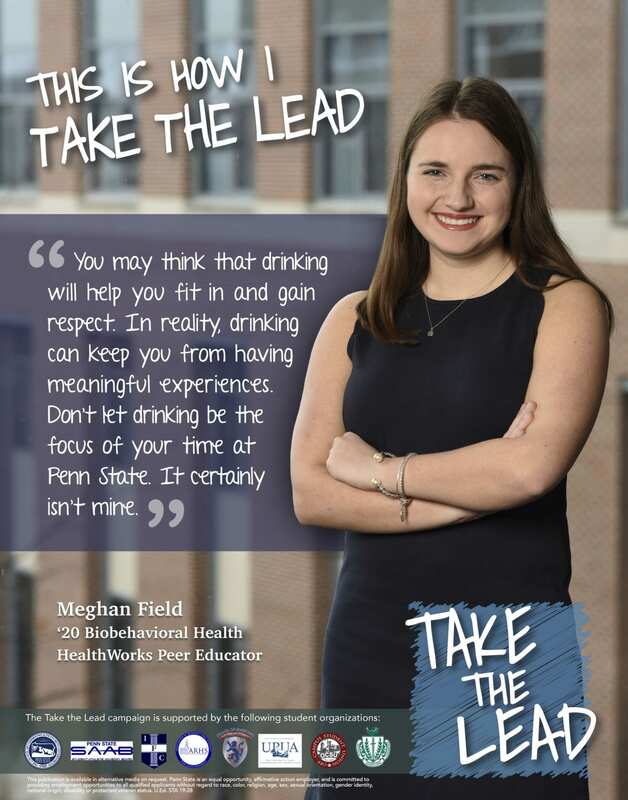 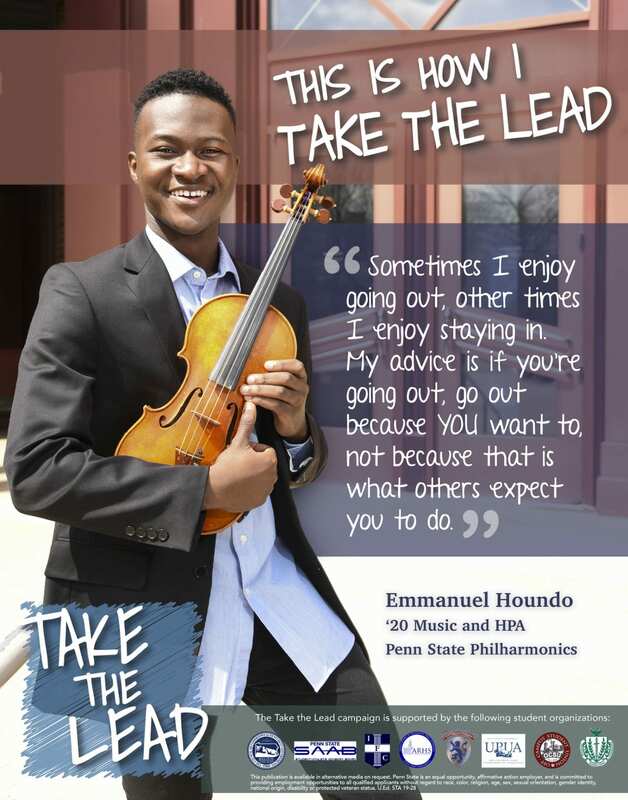 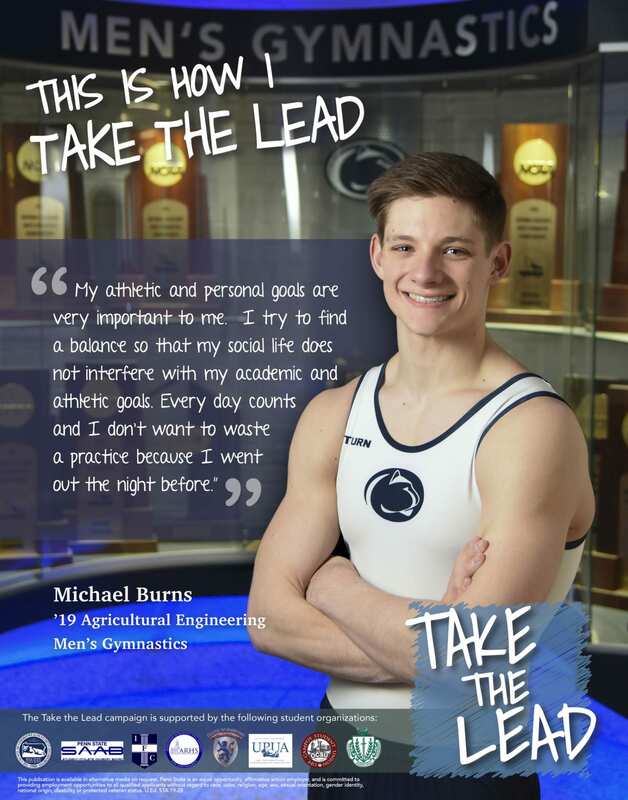 Student leaders are featured each fall semester as part of the Take the Lead campaign. 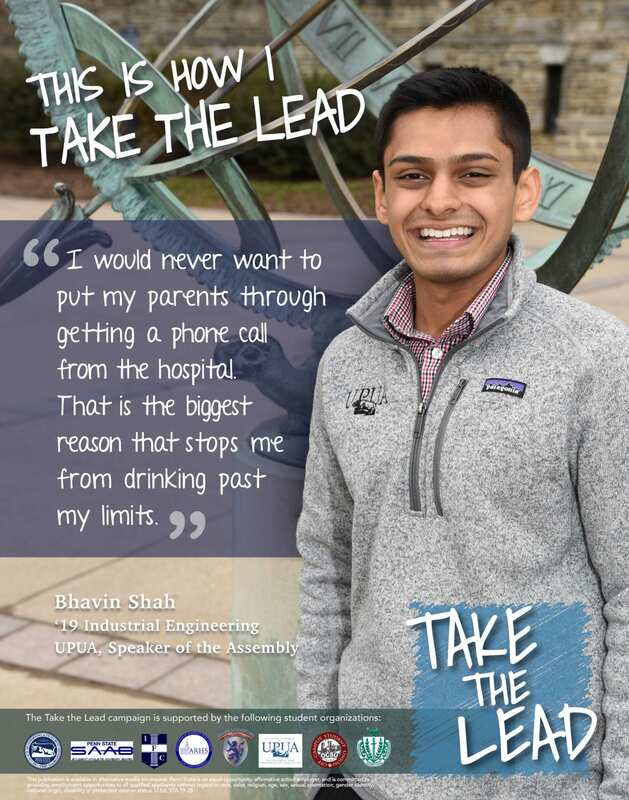 The goal of each students’ message is to encourage other students to make responsible decisions about drinking at Penn State. 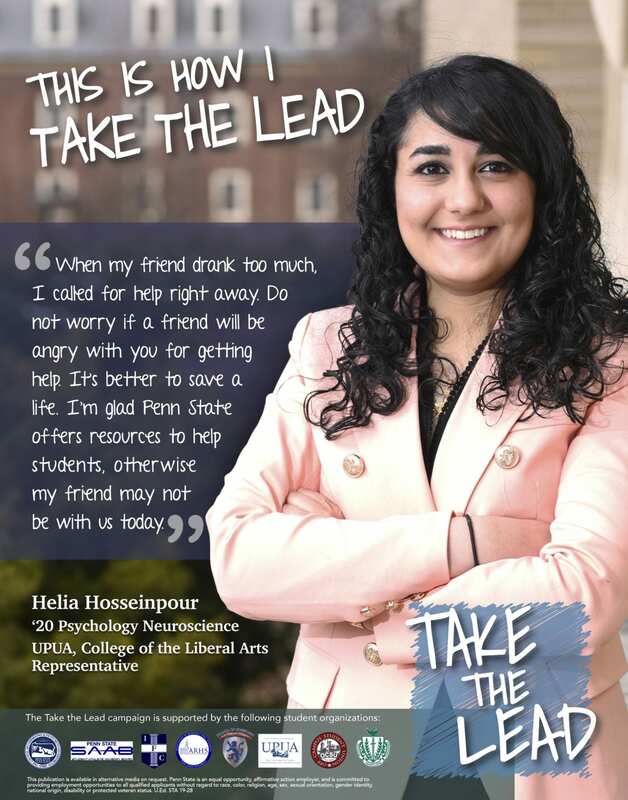 The campaign highlights student leaders and their advice about staying safe, looking out for friends, getting involved, and representing Penn State. 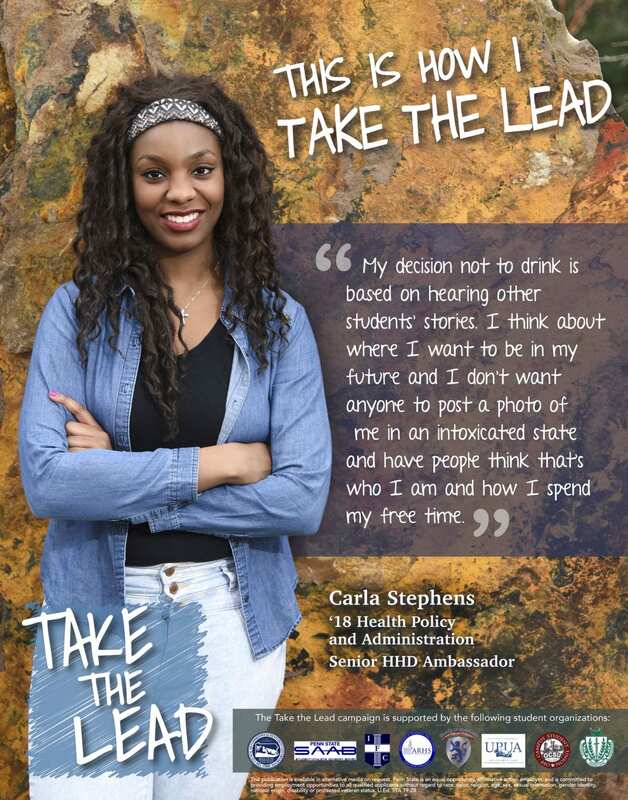 The Take the Lead campaign is sponsored by the following student groups: University Park Undergraduate Association, Council of Commonwealth Student Governments, Interfraternity Council, Panhellenic Council, Off-Campus Student Union, Student-Athlete Advisory Board, Area Residence Hall Associations and Council of Lionhearts.